A pack to carry everything. We recommend a size between 20L to 40L. This size range allows for easier customization of what one is bringing along, and back support. 20L packs are small, and are great for short hikes, where as a 40L pack will help carry enough for the whole day or extra apparel/ gear for inclement weather. First Aid Kit within a water proof bag like a ZipLoc, and insect repellent are highly recommended in all areas in Southern California. Hat, sunglasses, and sunscreen for protection against the over-exposure. Snacks that are high in carbs, protein-rich meals slow the energy output. Bring breathable clothes, we recommend against denim or cotton fabrics, that cover the arms and legs. Cotton, and denim do not evaporate like synthetics. A flashlight, or headlamp for illumination during night hikes. An emergency shelter for worst case scenarios. Calling the Gregory Women's Jade 28 Backpack a daypack is an understatement; this all-season trekker handles summer ridge runs and winter ice climbs with ease. Its Crossflo DTS suspension system features a wired X-frame that stretches trampoline-like mesh tight, and there's an HDPE framesheet with an anti-barreling stay for sturdy support. Cushy, ventilated EVA covers the shoulder straps and waistbelt for extra comfort. The Jade is a traditional top-loader, upgraded with a larger zippered opening for better access to gear. There's an internal sleeve and tube port for hydration reservoirs, as well as an external pocket with a removable rain cover inside. The backpack's bottom loops attach trekking poles or ice axes, and Gregory added dual stretch side pockets for water bottles, dual waistbelt pockets for lip balm and energy gels, and security pockets both inside and out for electronics and valuables. From ultralight backpacking trips to epic mountain bike rides, the MSR TrailShot Microfilter provides ultra-compact purification, allowing you to drink directly from streams and lakes on the trail. Tipping the scales at a mere 5.4 ounces, the TrailShot tags along in your pack without the bulk or weight of traditional water filters. 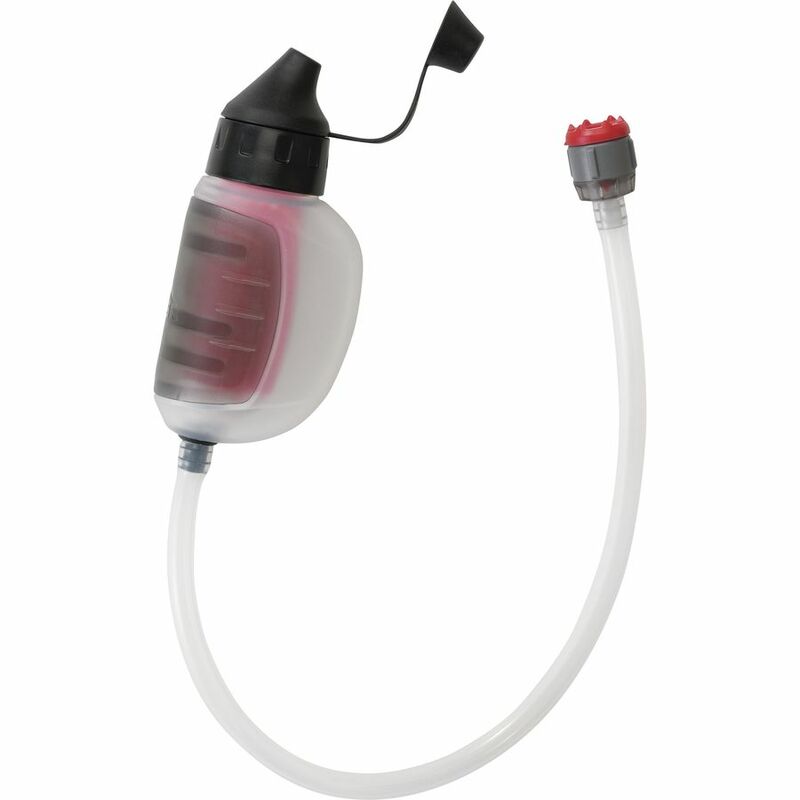 The one-handed pump action efficiently filters water of common contaminates, including bacteria, protozoa, and suspended particulates. When it's time to clean the filter itself, simply shake it a few times and get back to filtering water from the stream or lake. It treats up to 2,000 liters of water before requiring a replacement and cleans one liter of water in a mere 60 seconds. 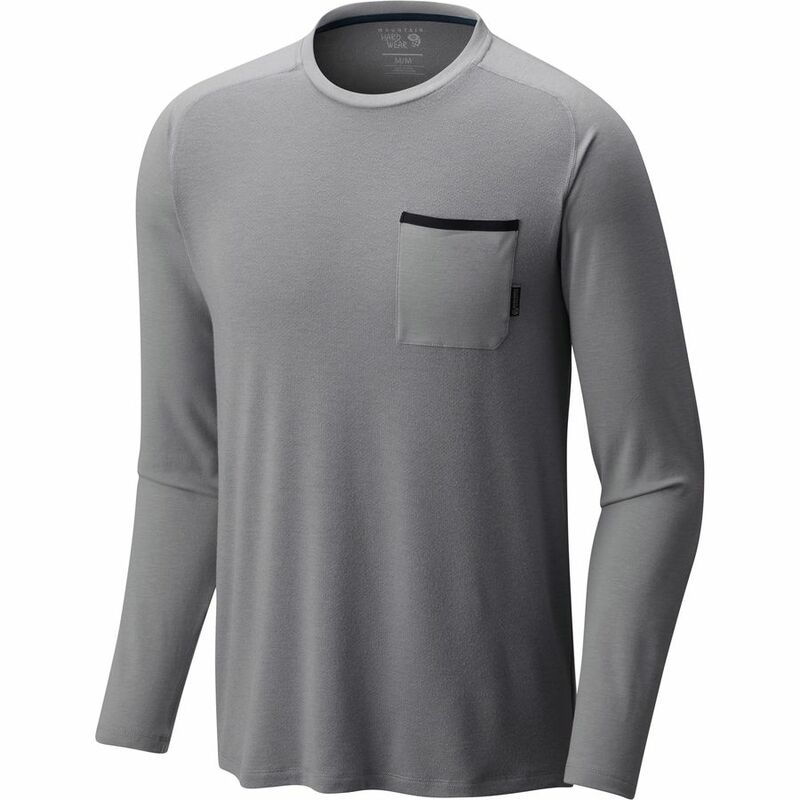 Doing just as its name would suggest, the Mountain Hardwear Men's CoolHiker AC Long-Sleeve Shirt keeps your body cool while (you guessed it) hiking. Constructed from a stretchy DrySpun Cool fabric, the CoolHiker wicks moisture away from your skin, fights the build up of nasty odors, and breathes incredibly well to keep you feeling fresh, in every sense of the word, during your adventure. Then, a breathable pointelle back panel brings you much-appreciated ventilation to enjoy that mountain breeze once you get to the top, while the singular chest pocket makes for quick and convenient storage of your sunnies if the clouds roll in.